May 7, 2019 at 6:00 pm in The Yoga Loft. Class is the first Tuesday of every month!
. Come into the alley, through the gate and up the stairs. Mindful Recovery Yoga is a gentle practice with meditation, crystal singing bowl sound bath and confidential discussion. It's time to gather together, with compassion for all the roads we are on as individuals, with no judgement, in a safe, confidential, truth-seeking environment. The truth is that we are whole and complete just as we are, where we are. We need to really prioritize this relationship with the self and nurture it so that we can express ourselves fully and see that everything that happens in our life has something to teach us. 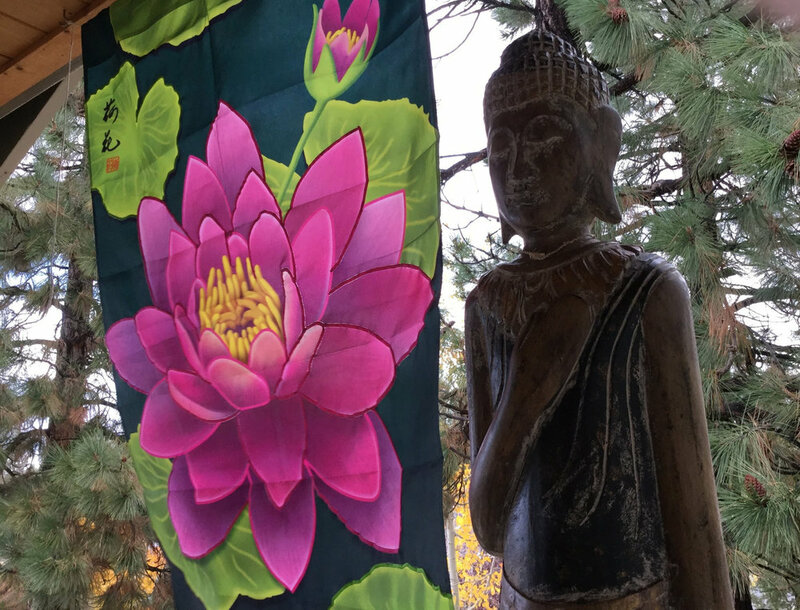 When we come to our mat, we allow ourselves to witness our own experience as a spiritual being. We can see how our addictive behaviors, as well as the addictive behaviors of others, can hold us back from living wholeheartedly. By aligning our heart, spirit and actions with the life we want to lead, we create peace and harmony within. I honestly believe we all have something to discover! If you want to change behavior, you must change consciousness. That is where freedom is found. This is a practice for all of us that want to be on the path of discovery and healing. I heard it said that "practicing yoga provides the the cup, pranayama, breath work, empties the cup, and meditation fills the cup with sweet nectar." Flexible Investment/donation $10, Venmo at Julie-Bertagna. Cash or check. Please email me with any questions and please don’t let the cost keep you from coming. Let me know how I can help. Maybe we all just need some time to be. It’s my word for the New Year and I have to say it’s opened up a whole other level of discovery. Discovery that I can at least be in control of many parts of my life, that I can be in creation of the life I crave. A lot of it is slowing down. Yes, there’s still bills to pay and grand-kids to babysit (love) and responsibilities...but, there’s some things I can say no to and many things I don’t need to buy and I’m noticing what really matters and what feels right. Come if you are called...to “Be” in nature and in community with women on the path of discovery. To a place that wraps you up in the beauty of ancient forest and the presence of four devoted teachers. We each bring our own gifts and personalities that we’ve found correspond with the elements. Serously! Cathy-Earth, Linda-Fire, Haley-water and myself (Julie)-air. Haha, if you haven’t practiced with us, you’ll see! We have so much we want to share with you on the 5th Annual Awakened Heart Journey. This is for you to take time...space...to awaken, discover and renew... time to yourself and time to connect with other women. You do not need to be in recovery to join us. We all have lives that are sometimes challenging, right? I’ve learned there can be a lot of healing, restoration and aha moments in a weekend like this. 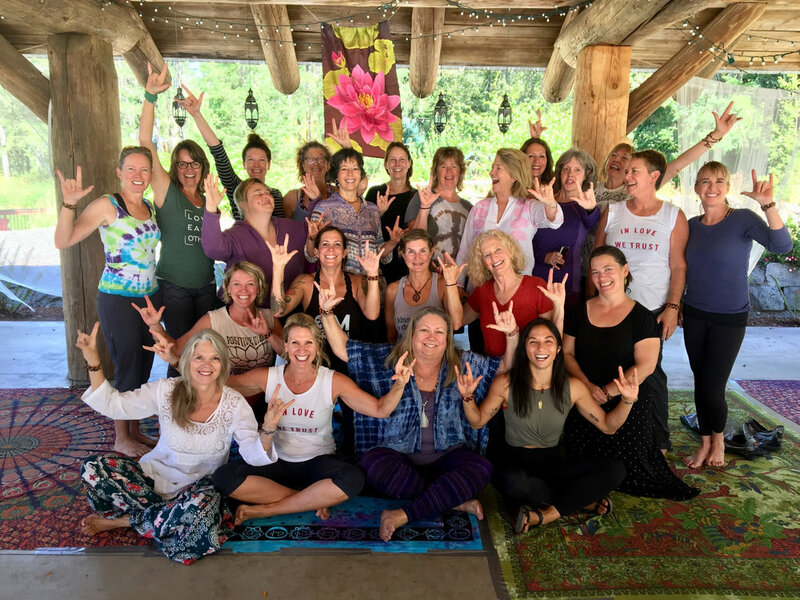 Importantly, we have lots of laughs and great girl talk, healthy food, 2-Y12SR meetings, campfires, an Earth walking meditation ceremony, guided meditation, gentle yoga practices, yin, yoga nidra, reiki energy healing, tapping and soothing Crystal Singing Bowls sound baths. Whew! Our intention is to create a safe environment for each of you to witness your own human experience as a spiritual being. To listen to and awaken your heart to living life simply and fully, one step, one day at a time. Without the pull of deadlines, relationships, the Internet, or other media, if we give ourselves time to go deep into our own hearts where we can fully reflect on our joys, sorrows and fears, we can own them, release them and come to understand our path more intimately. Open to all women on the path of discovery. Linda Santilli Taylor, Cathy Lawgates, Halie Taylor and myself (Julie Bertagna) will be your gentle guides. 3 Glamping wall tent with 1 queen bed and bunk bed if wanted for up to 4 women $98. Tent rental and set up for $25, bring your own bedding. Lots of Happy Campers here! As you can see, we had a lot of fun! If you would like to be added to the email list for these gatherings, you can subscribe to my newsletter at the bottom of the page. I promise I won't overload your inbox or share your address with anyone.